Description: This patch for NBA 2K13 PC will add 4 new fictional jerseys for Team Shaq and Team Chuck, since it's not possible to assign a unique jersey for every player in a team. The mod pack also includes an accurate 2013 BBVA Rising Stars Challenge roster. - Unlocked All-Star teams including East, West, Team Shaq, Team Chuck, and 2K Sports Team. 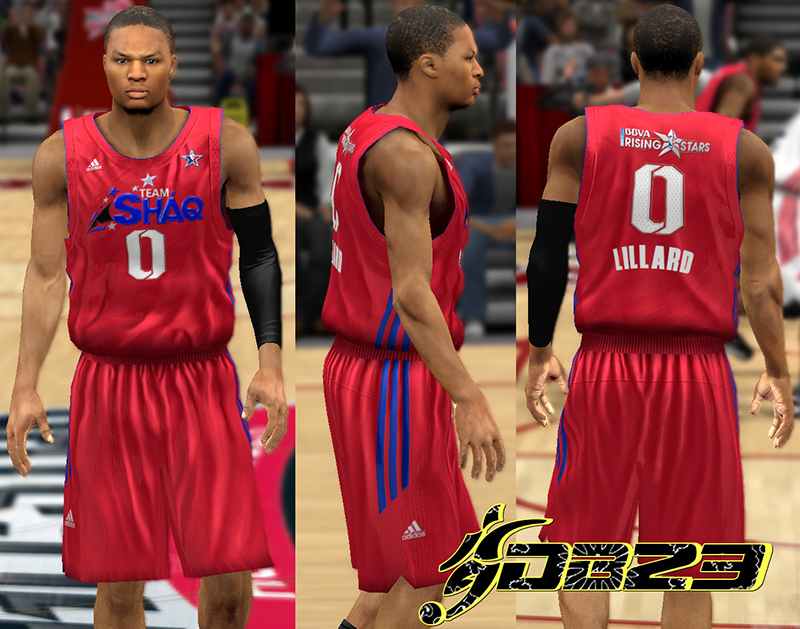 - Based on the official NBA 2K13 roster (5-7-2013) update. - Correct 2013 rookie challenge allstar roster and team lineups. 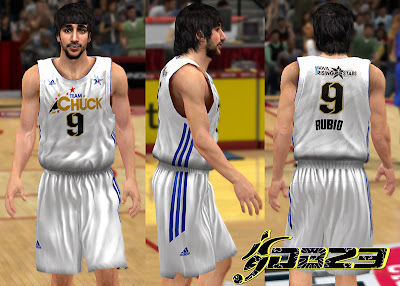 - Also includes a version of the roster with no injured players. 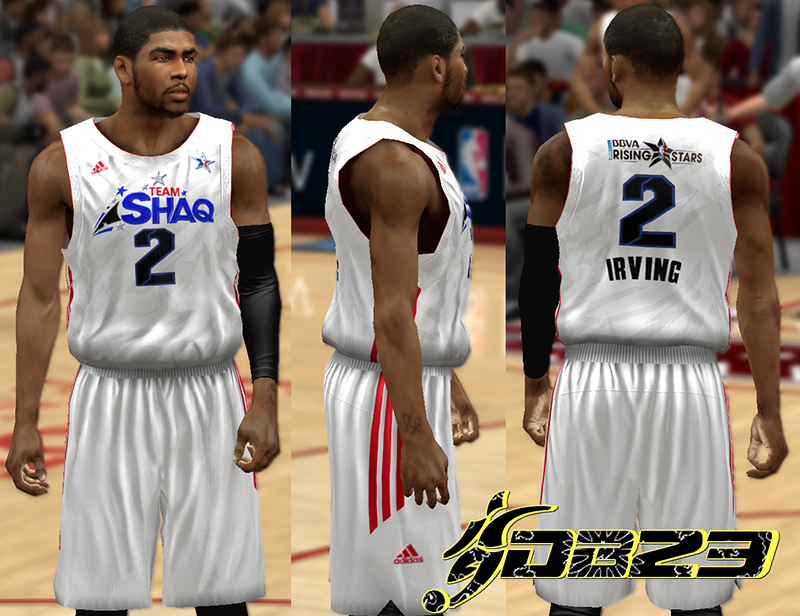 Team Shaq Roster - Kyrie Irving, Kemba Walker, Damian Lillard, Chandler Parsons, Dion Waiters, Michael Kidd-Gilchrist, Harrison Barnes, Klay Thompson, Andre Drummond, and Tyler Zeller. 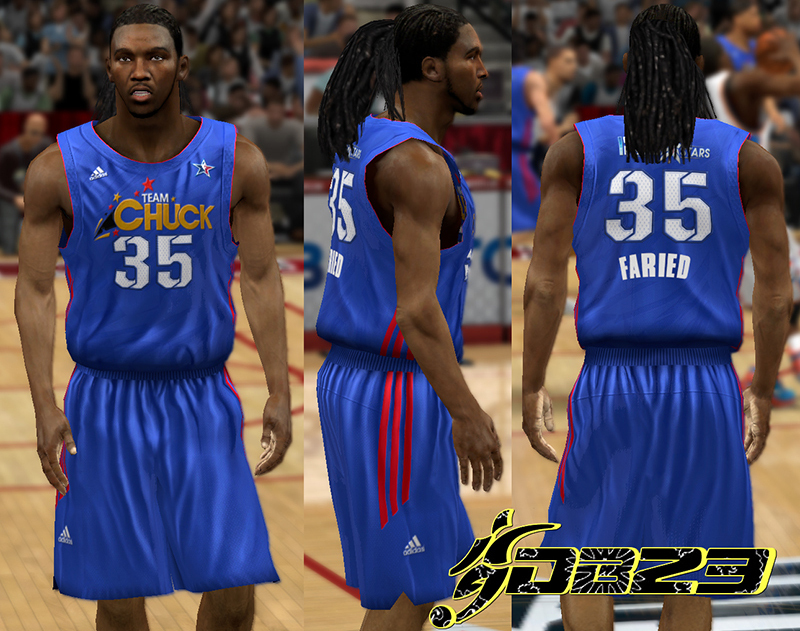 Team Chuck Roster - Kenneth Faried (MVP), Kawhi Leonard, Anthony Davis, Ricky Rubio, Brandon Knight, Isiah Thomas, Bradley Beal, Nikola Vucevic, Tristan Thompson, and Alexey Shved.